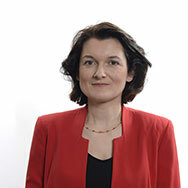 Isabelle is CEO and Managing Partner and leads the Life Sciences team. Isabelle began her career in 1991 with Arthur Andersen in Detroit, USA. She then moved to Pfizer France and Pfizer Europe where she held various positions for six years within management, clinical research and business development. 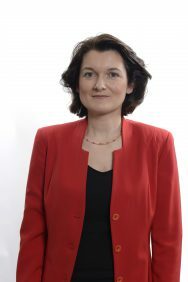 In 1998, Isabelle joined Laboratoire Fournier / Abbott as Deputy Director of Business Development, in charge of product and technology licensing and acquisitions, and signed numerous Europe and and USA deals. She joined Seventure in 2001 to establish the Life Sciences division. Isabelle supervises the Life Sciences business and personally invests in French and Scandinavian and north American biotech, nutrition, healthcare, personalized medicine. Isabelle has a particular interest in the microbiome field and frequently gives lectures at conferences in this domain. She was the founder of Health for Life Capital fund, which primary focus is microbiome, in partnership with Danone and Novartis. Isabelle’s investment experiences include Santaris (sold to Roche for $450 million in August 2014), ArgenX (listed), OPI (sold to Eusa for € 110 million), Bioalliance (listed), Pixium vision (listed). She is currently responsible for Enterome Biosciences, Maat Pharma, Targedys, LNC, Vedanta etc. Isabelle has a degree in Engineering from l’Ecole Centrale Paris and holds DECF and ISEB degrees and brings more than 25 years of international business development and finance experience in the pharmaceutical industry to the team.